The Jigawa State Police Command has confirmed the death of three friends who drowned in an old well in Basirka town of Gwaram Local Government area of the state. The command’s Public Relations Officer, Superintendent of Police (SP) Abdu Jinjiri, who confirmed the incident to Daily Sun, in Dutse, said the well belongs to a state House of Assembly member representing Fagam Constituency, Shu’aibu Inuwa. 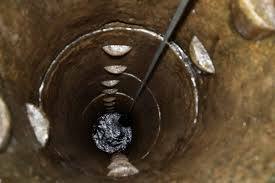 He said at about 5:30 p.m on Friday, one Jibrin Babangida of Kofar Fada Basirka town in Gwaram Local Government reported to the police in the area that at about 4:30p.m, his son Ibrahim Jibrin, aged 27 years, fell into a well while trying to fetch water. He said on receiving the information, police in the area swung into action in a desperate effort to rescue the victim only to meet his body and that of two others. He, however, said the two other persons, Danliti Mohammed, aged 35 years, and Idi Mohammed, also 35, drowned in the same well while trying to rescue the first victim before the police arrived the scene. Jinjiri said all the three persons were later removed and rushed to Basirka Primary Health Care for medical attention where they were certified dead by the medical doctor. “All the three persons were removed from the well unconscious and were conveyed to Basirka Primary Health Care where they were all confirmed dead,” he said. He said their bodies were later released to their respective families for necessary burial rites while the investigation is still ongoing. An eyewitness, Malam Isma’il, said the incident happened while the first victim was attempting to evacuate dirt in the old well, where a water pump machine was installed. In another development, two yet to be identified persons were crushed to death by a moving train in the ancient city of Kano. The tragic incident occurred along the rail lines behind the popular Kano Club in the metropolitan area of the state. Witnesses, while expressing deep shock at the tragedy, disclosed that the victims were lying on the rail lines in the early hours of yesterday when they met their untimely death. Checks by Daily Sun indicated that the victims, due to the scourging heat in the state, had decided to sleep by the track of the train, not knowing that a train would pass in the early hours of the day. Kano State Police Public Relations Officer, Deputy Superintendent of Police, Haruna Abdullahi, who confirmed the tragic deaths, said the police were notified at about 8:00a.m. DSP Haruna said detectives had visited the scene of the incident, took shots of the crash and handed the case over to the Railway Command of the Nigeria Police Force, who are directly in charge of the case.